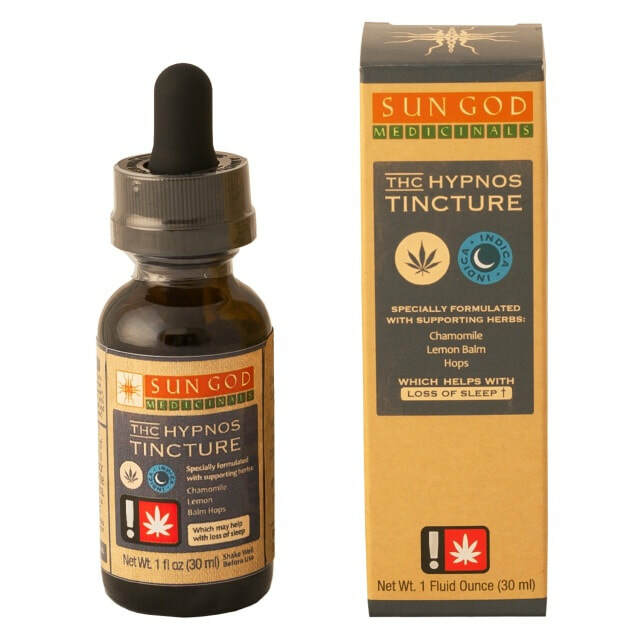 An herbal compounded tincture formulated with medicinal herbs and cannabis to help address specific symptoms. Extracted using a slow, cold-process method practiced by herbalists for a thousand years, with organic sugar cane alcohol and organically grown herbs - then expertly combined with cannabis and vegetable glycerin. This is a potent, naturally citrus-flavored tincture made of Oregon-grown cannabis. It is compounded with supporting herbs like hops that may help invite sleep and leave you feeling well rested! Ingredients: Vegetable glycerin and organic cane alcohol infused with Oregon-grown cannabis, chamomile, hops, lemon balm, and d-limonene. Formulated for 250 mg THC. ​Potency varies by batch. Test Results available by request. Mythology: In Greek mythology Hypnos was the personification of sleep. He lived in a cave so he couldn't see the rising or setting sun, nor the "lightsome" moon. At the entrance to the cave he had poppies and other hypnotic plants. PRECAUTIONS: May cause drowsiness if combined with other medications. Do not use if allergic to ragweed. All herbs have the potential for producing side effects and causing interactions with supplements and medications you are taking. Ask your doctor before use.